November | 2014 | ohdenny. The Knox venue is the latest PappaRich outlet to open in recent years. 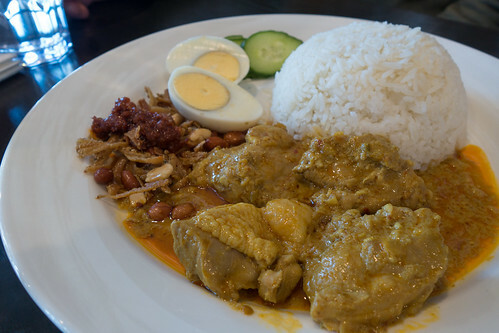 PappaRich remains one of the most popular Malaysian restaurants in Melbourne and you can see by the queues even after the stores have been opened for months or even years! PappaRich has opened in the foodies part of Knox, in the Westfield Knox O-Zone. Recently, I was graciously invited to dine there for the Knox launch with a few other local food bloggers. The menu remains the same for all PappaRich establishments, but if unfamiliar the menu is extensive. 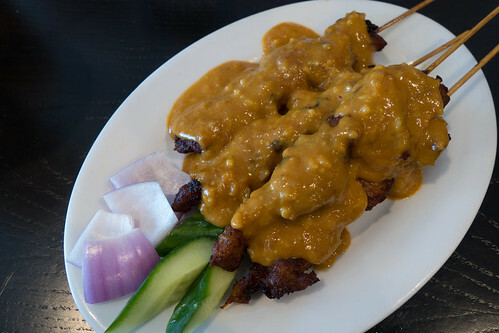 Roti, Fried Noodles, Noodle soups, Rice dishes and a variety of desserts, drinks and small eats as well. 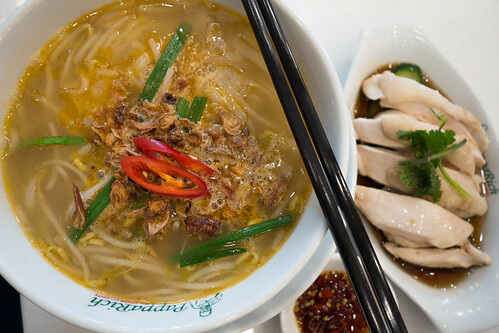 Most often I gravitate towards their Ipoh Koay Teow Soup with Steamed Chicken or with Prawn and Chicken slices, funnily enough my friend frequently orders the same dish too. 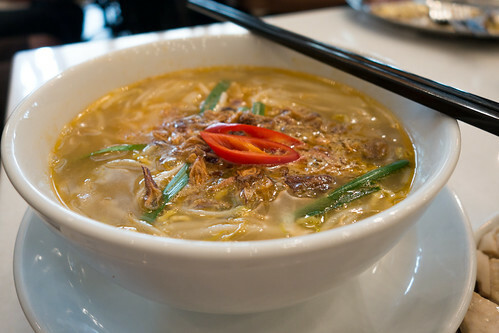 One of the things I love about this noodle soup dish is it’s very fresh with its ingredients of the light (yet flavourful) soup, bean sprouts and the noodles. 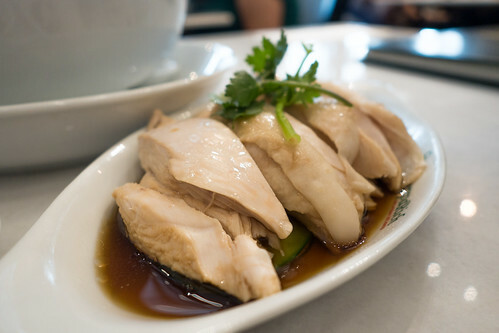 Complemented with the steamed chicken, it isn’t as rich or heavy as some other dishes because other than the fried shallots, nothing has been deep fried. According to my friend, it was a tad salty but given it’s only just recently opened it just needs a bit of refinement. The Crispy Egg Noodles was something I haven’t actually ordered before from PappaRich. 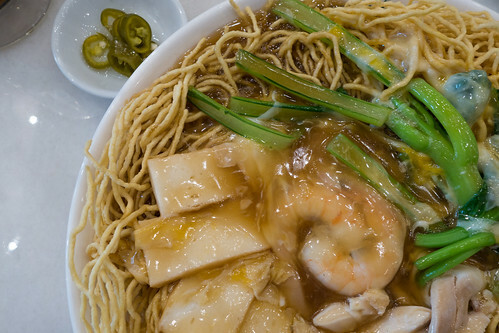 It’s interesting as it uses a different type of noodles that I’d normally associate with a Crispy Noodles Seafood Combination but of course these are slightly different dishes (as the Seafood combination tends to use an egg gravy which is more white in colour). 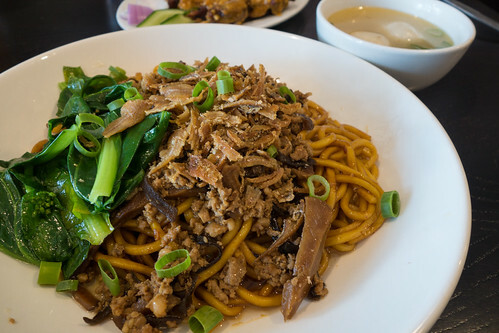 The noodles aren’t as crispy but still retain a bit of bite to them. 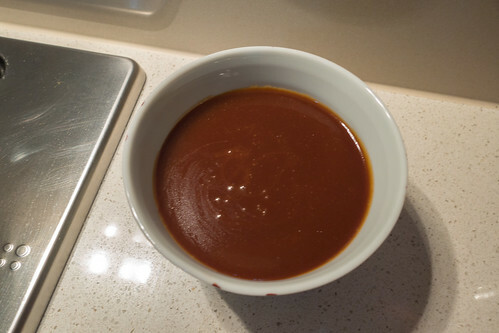 Other than the crispy noodles itself, the flavouring of the sauce is crucial to combine all the ingredients together. The gravy here is more subtle in taste than I’m used to but goes well with the tender chicken and prawns. It’s a substantial dish I must say, like most of the PappaRich dishes. 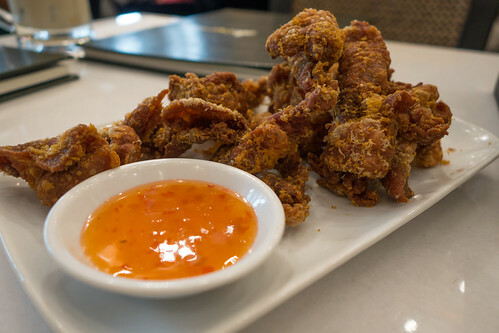 The Deep Fried Chicken Skins seems to be a popular choice among my friends, the pieces were quite large to just pop one piece in your mouth and crunch but it can be addictive! 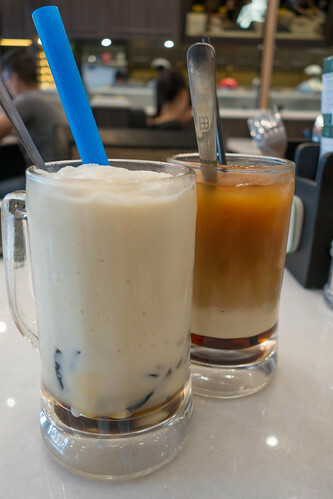 Pictured above is their Soya Milk with Jelly and the Teh C special. Teh C is one of the more interesting Malaysian drinks, with its distinct layers of tea, evaporated milk and gula melaka syrup (sugar syrup). 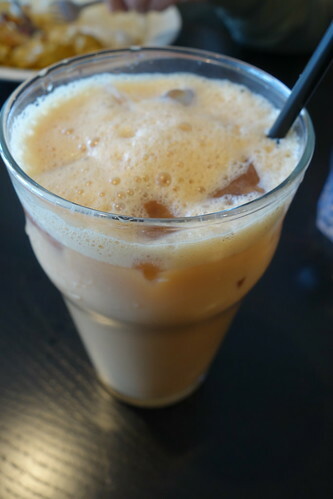 It’s similar in some sense to a Teh Tarik but the gula melaka does add a unique flavour to it that I quite enjoy. Of course we had to try their desserts too! The Sago Pudding and Egg Sago Pudding pictured above is served with coconut milk. 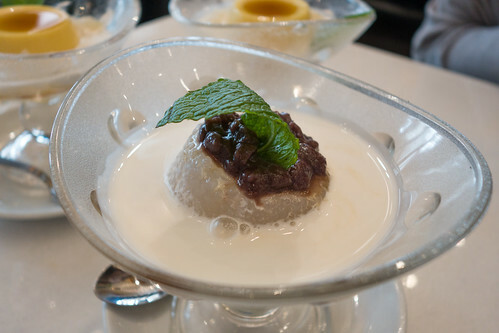 The Sago Pudding is topped with Red Beans, it’s a tasty dessert but I love sago (In cold desserts, hot or even as Kueh). The Egg Sago Pudding, however, was probably my favourite dish of the day. 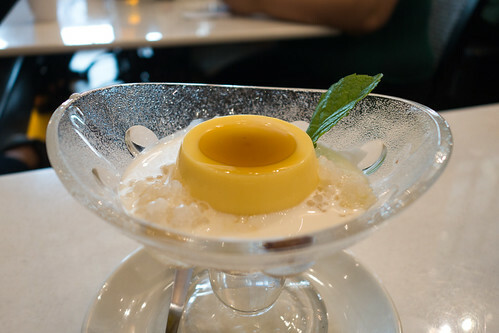 The Egg Pudding was silky smooth and just enough sweetness. Combined with the creamy coconut milk and sago it just makes for a delicious treat. 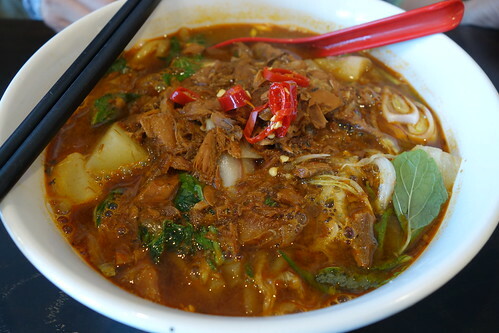 While PappaRich Knox hasn’t reached the highs of their Chadstone store for me, yet, in terms of their noodle dishes. It certainly is early days yet, however what you can’t go wrong with is their desserts and drinks. So for the upcoming summer, it’s great to just sit out with a cooling drink after watching a movie or after a hard days work shopping and just relax. 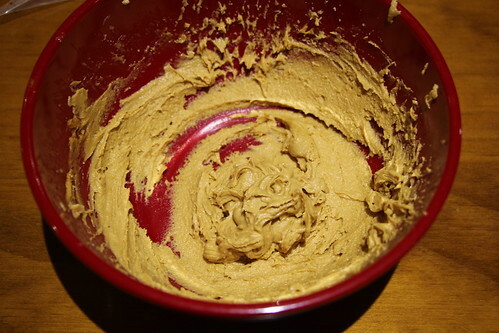 I made some salted caramel for some chocolate, salted caramel cookies that didn’t turn out too well (but tasted great) so I had plenty of salted caramel left in which I had no idea what to do with it. So onwards with my Googling (how did I live without it) and I found this interesting tart from BBC Good Food. 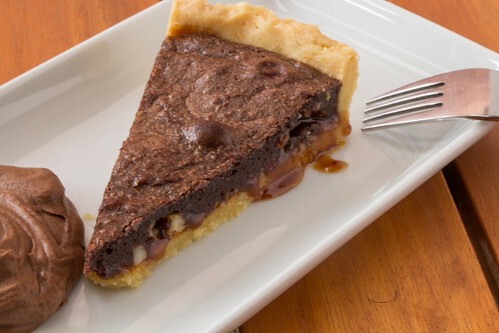 It has all the ingredients for a great tart, crunchy hazelnuts, salted caramel, chocolate and a shortcrust tart. What else would you want? 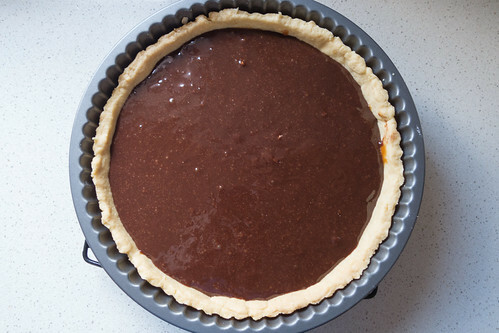 Putting it shortly, the tart turned out great, with not too much work involved but it does take some time for cooling the salted caramel or the chocolate filling and the pastry itself. So this isn’t a recipe for those a bit short on time. Have a look at the recipe and see my impressions below! 1. 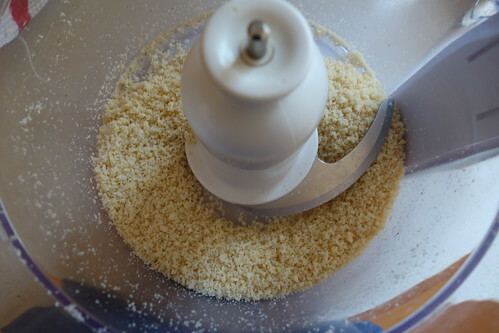 To make the pastry, whizz the hazelnuts in a food processor until finely ground. 2. 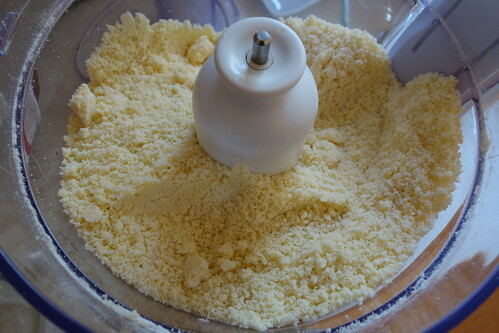 Add the flour, icing sugar and butter, and pulse until the mixture resembles breadcrumbs. 3. 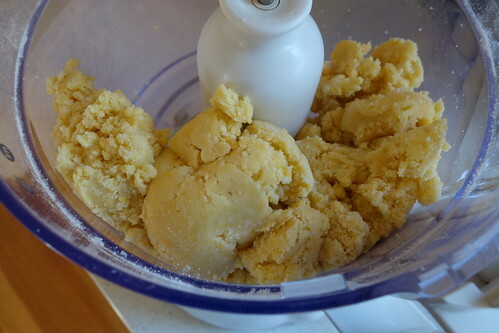 Add the egg yolk and 1-2 tbsp cold water, and pulse until the dough comes together. 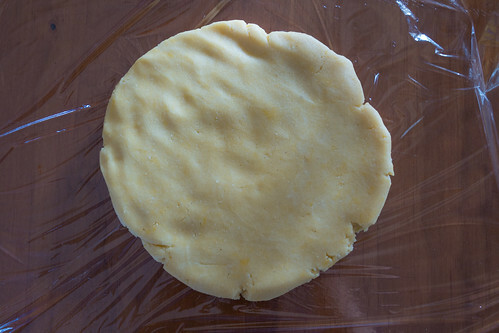 Tip the dough out and flatten into a disc, then wrap in cling film and chill for 30 mins. 4. Heat oven to 180C/160C fan forced/gas 4. 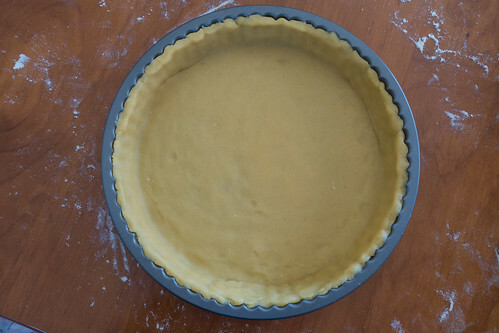 On a floured surface, roll out the pastry to line a 23cm loose-bottomed, deep tart tin. 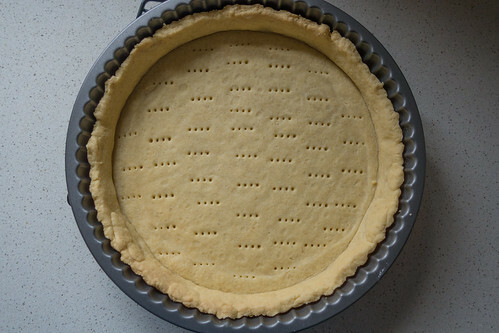 Trim the edges and prick the base with a fork, then line with baking parchment and fill with baking beans. 5. Bake for 20 mins, then carefully remove the baking beans and parchment and bake for a further 5-10 mins until light golden. Allow to cool. 6. 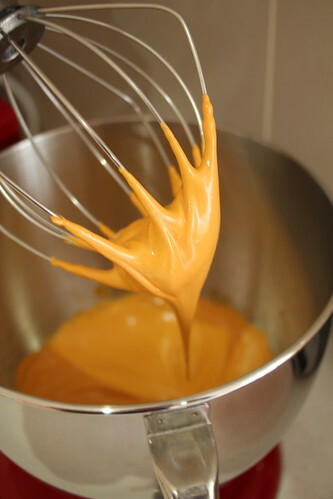 Meanwhile, make the salted caramel. Tip the sugar into a small pan, add 1-2 tbsp water and heat gently to dissolve the sugar. 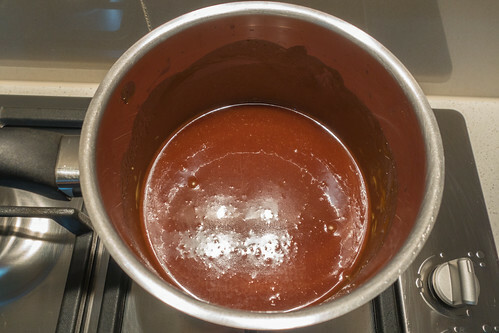 Increase the heat and cook until the sugar turns to an ambercoloured caramel. 7. 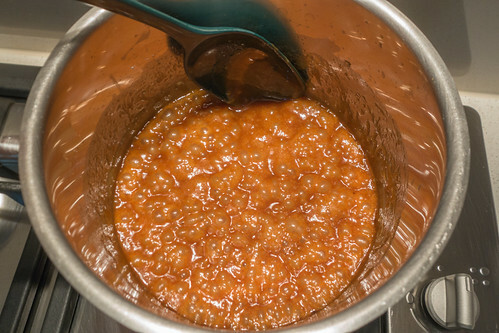 Reduce the heat and add the butter, cream and golden syrup, and stir until the sauce is smooth and thickened. Remove from the heat and add the salt. 8. 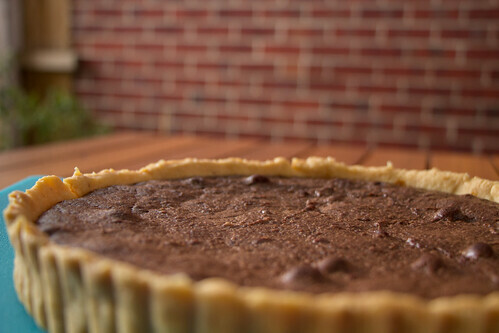 Allow to cool for a few mins, then spread onto the tart base. Scatter with chopped hazelnuts and set aside. 9. 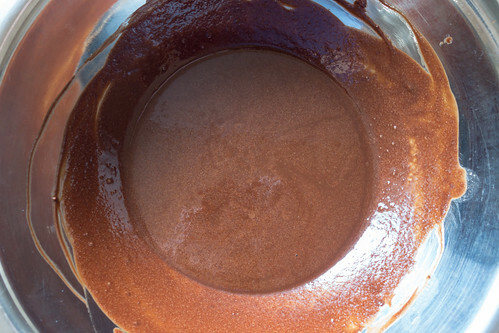 For the chocolate filling, melt the chocolate and butter in a heatproof bowl set over a pan of simmering water. 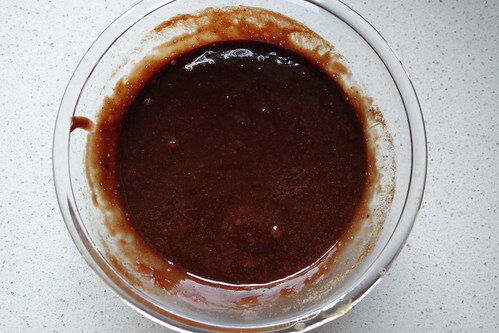 Stir until smooth, then remove from the heat and allow to cool slightly. 10. 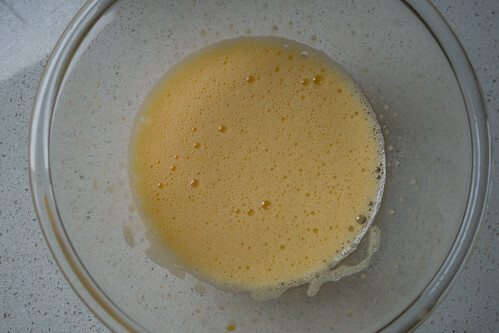 In a separate bowl, whisk the eggs, egg yolk and caster sugar for about 6 mins until thick and pale. 11. 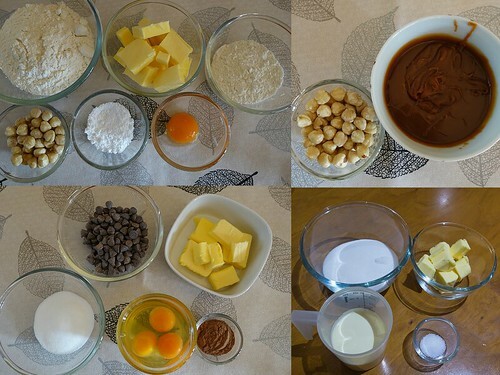 Fold in the melted chocolate and cocoa, then pour into the tart case. 12. 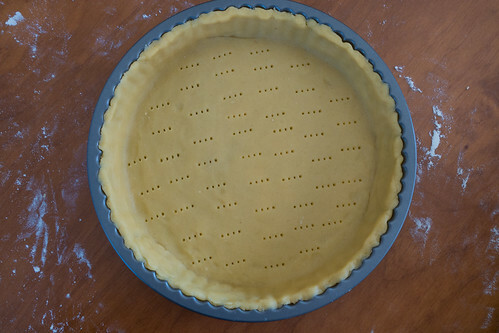 Transfer to a baking sheet and cook for 20-25 mins or until set and the top has formed a crust. Allow to cool to room temperature before serving in slices. 1. 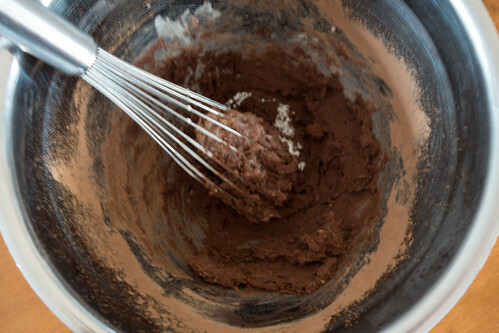 Place your mixing bowl and wire whisk in the freezer for about 15-30 minutes. 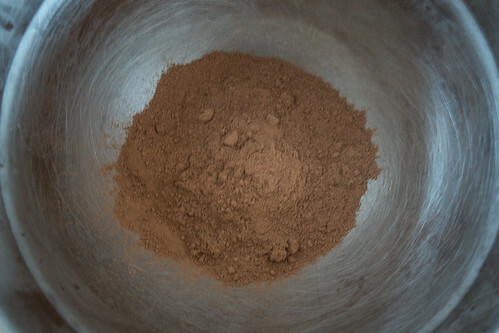 Place the vanilla extract, 3 tablespoons of sugar, cocoa powder, and instant coffee powder in the cold bowl. 2. 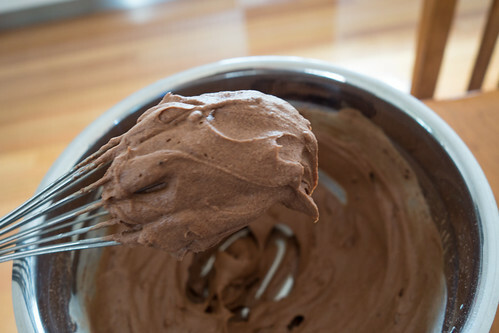 Stir in about 2 tablespoons of the cream to form a thick paste (this will dissolve the cocoa and coffee powder). 3. 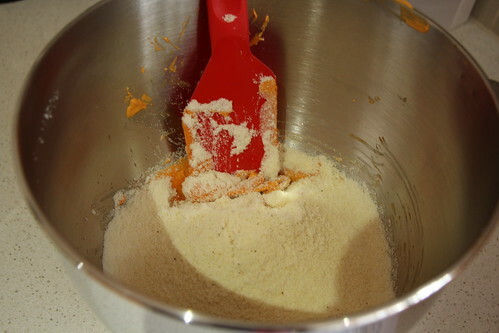 Then add the rest of the cream and beat just until stiff peaks form. 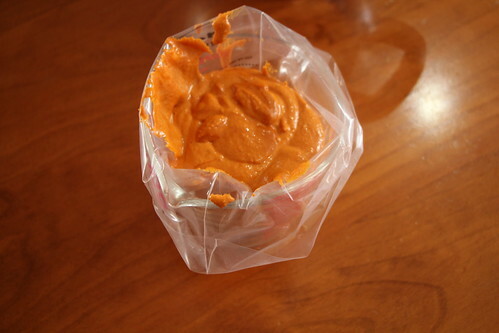 If not using immediately, cover and refrigerate. Makes about 2 cups (480 ml) whipped cream. 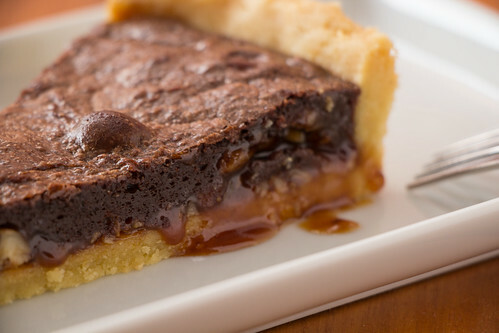 This chocolate, hazelnut and salted caramel tart is stunning. 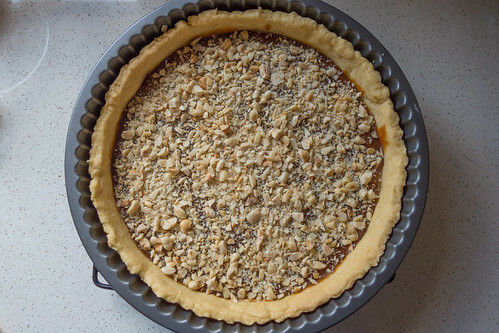 The salted caramel just oozes out when the tart is still warm, and you have a moist chocolate layer on top and a generous amount of hazelnuts in the middle. I had leftover full cream so I decided to create my own whipped cream, and I thought of making it coffee/mocha flavoured just for something a bit different and it turned out amazing with the tart. The bitterness of the whipped cream but with a coffee hit with the buttery rich tart works exceptionally well together. 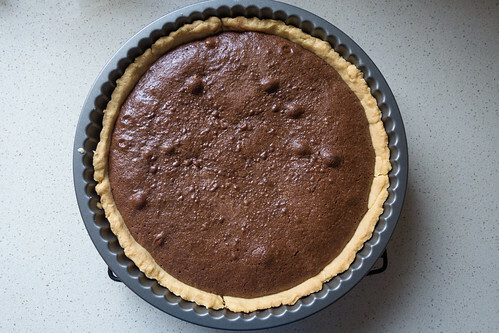 It’s not a particularly thick tart, but I think it works better that way so it doesn’t seem overwhelmingly rich. 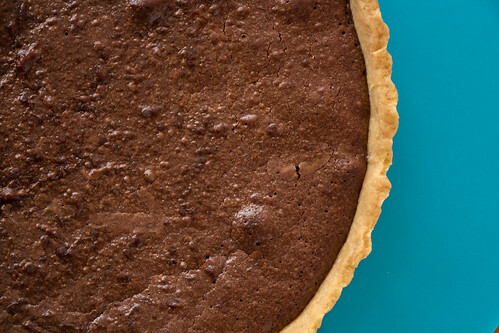 Overall, I love this recipe, not too sweet as I reduced the sugar for the whipped cream and chocolate filling, and also slightly for the salted caramel too. 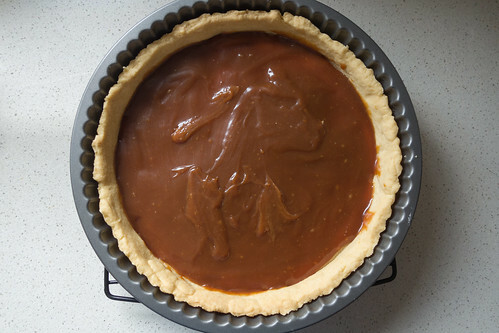 The salted caramel provides all the necessary sweetness and it really does its work in making it a delicious tart. 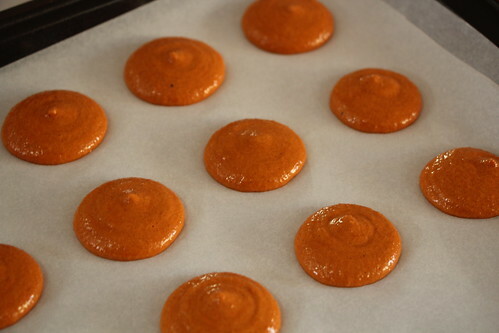 Because my attempts at making macarons had been less than fruitful, I decided to try doing it the easy way and just buy one of those Macaron-mixes. 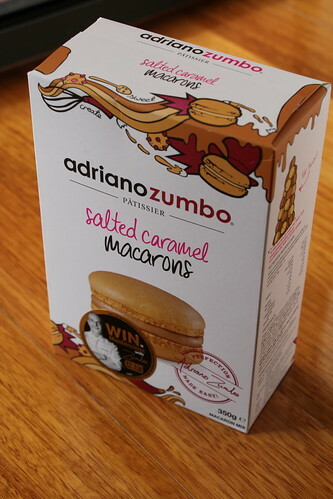 With Adriano Zumbo’s macarons being quite famously known, I was quite excited to try his Salted Caramel pack and going off the instructions it seemed pretty straight forward without the need for Italian meringue or Swiss meringue fuss. 1. Preheat oven to 160C (140C fan forced). 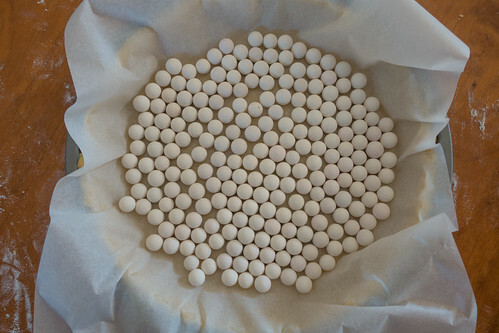 Trim baking paper to fit baking trays. 2. Using the ring provided, trace inner circles on the back of the baking paper, leaving 2cm gap between each. 3. 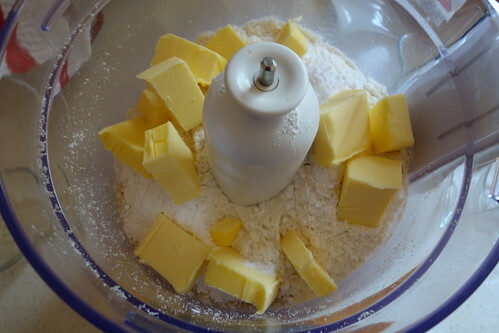 In a small bowl, whip meringue mix and water with an electric mixer on medium speed, until it begins to thicken, increase to maximum speed for 4 minutes or until very stiff. 4. Sift almond base over meringue (pushing through any lumps). Combine thoroughly with a spatula. 7. Bake trays one at a time for 14-18 minutes. Macarons are done when the ‘feet’ have just set. Slide baking paper onto a bench to cool completely. Carefully peel off shells and sort the best 30 shells into matching pairs. 1. 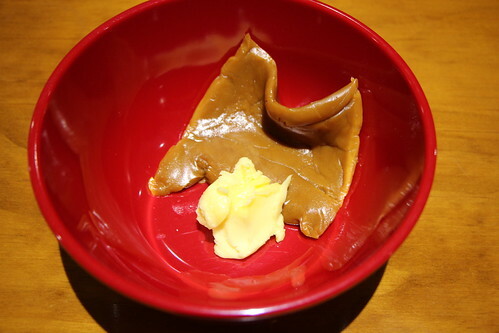 In a bowl, beat caramel filling and soft butter on low speed using an electric mixer until combined. Beat on high for 2 minutes. If using, stir through salt flakes. 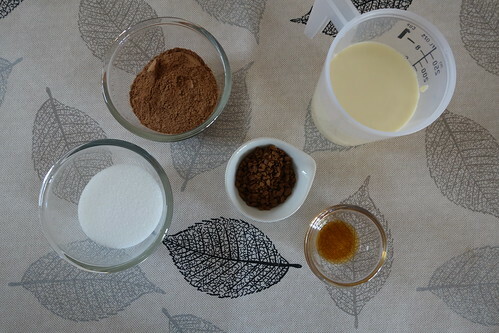 Transfer mix to remaining piping bag. 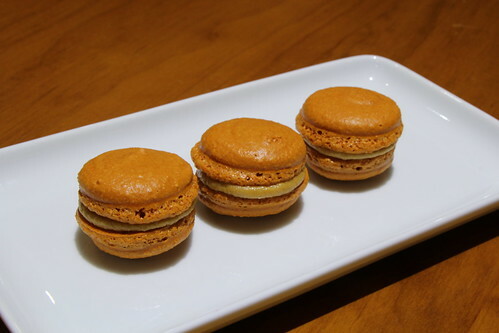 Pipe onto one macaron shell and sandwich together. 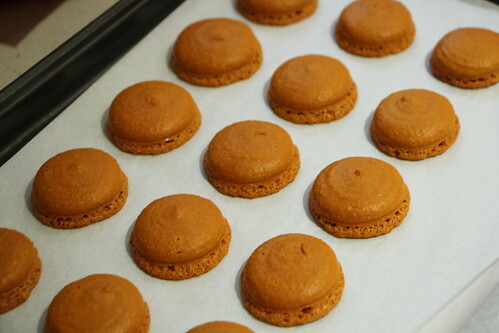 The macaron shells have just enough air, and also slightly chewy. The filling although ridiculously rich with sugar and butter is delicious and smooth. 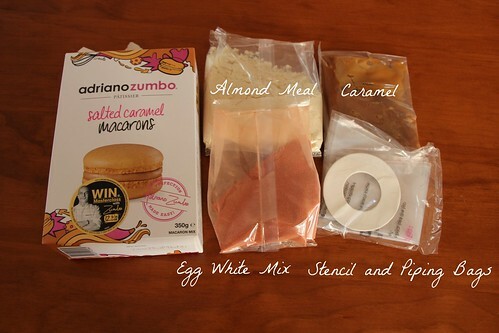 If you want to make macarons the easy way, I think this will suit you just fine. However, if you like to be a bit creative and go beyond the standard flavours, trying to do it the traditional way would be the way to go.